Troy-Bilt Pony riding lawnmower's are made by MTD and have Briggs & Stratton engines and a 7-speed automatic transmission. 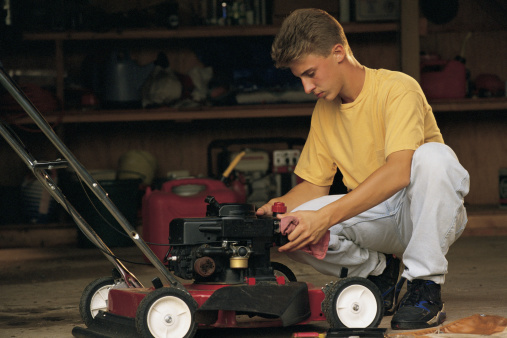 You may encounter a number of fuel and engine problems with these riding mowers that can lead to a failure to start. Fortunately, you can troubleshoot and repair the Troy-Bilt Pony riding lawnmower, in many instances without replacing engine parts. Your Troy-Bilt Pony riding mower may need a new spark plug. Check your gas tank and fill it if the fuel is low. Add a little fresh gas to any old gas in the tank that you need to get rid of. 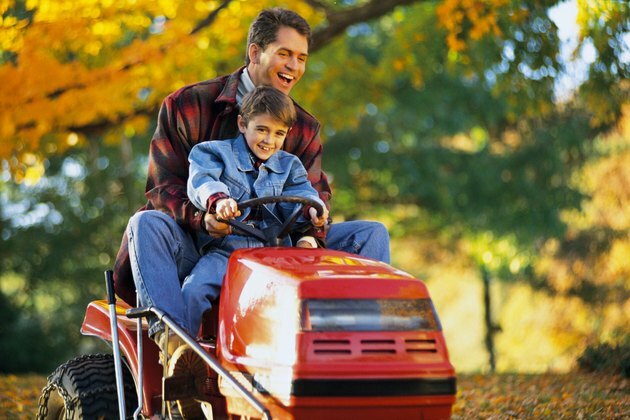 Turn on the mower and allow it to run idle and burn away all the old fuel. Fill the tank with only new fuel before using the mower. Do not attempt to use your mower with any old gas from a previous season left in the tank. Pop open the engine hood of the Troy-Bilt Pony riding lawnmower and look at the engine assembly. Find the spark plug, which lies near the front and should be connected to a black wire. This is the plug wire. Reinsert it into the Troy-Bilt's spark plug if it is loose. Remove the spark plug entirely for replacement by disconnecting the plug wire. Connect this wire to the new spark plug and lay it within the engine assembly. Find the flywheel at the back of the engine assembly. This will appear to be a large circle. In front of the flywheel is the magnetic coil, and the space separating these pieces is the Troy-Bilt mower's air gap. Measure the air gap with a caliper. It should be between 0.010 and 0.015 inch in width. Free up the magnetic coil if the air gap is not correctly sized. Use a wrench to loosen the coil's bolts. Reposition the coil as necessary and remeasure the air gap. How do I Repair a Troy-Bilt Self Propelled Lawn Mower?